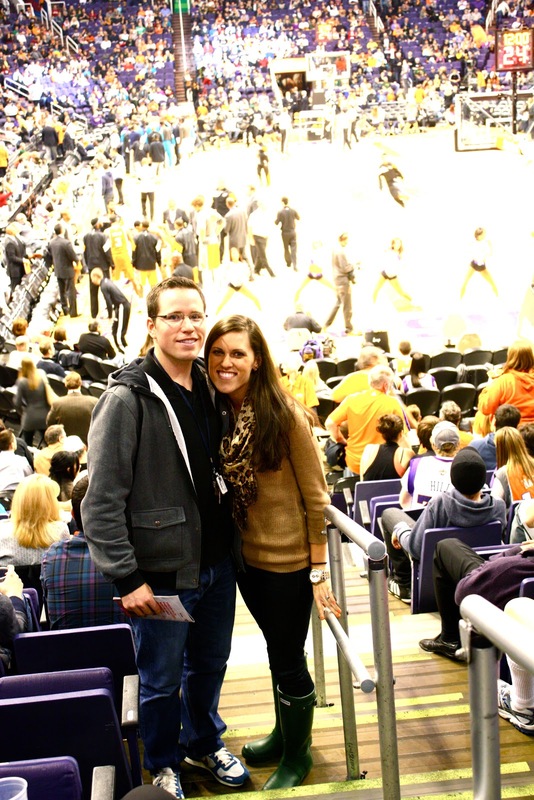 We went to the Suns game opener and it was an awesome game. Hunter's old boss has season tickets and gave us wonderful seats. Thank you John and Barb! Suns lost by one point but it was such a good game. I really like watching the huge Polish guy play...they always announce his name wrong over the loud speaker:) MARCIN GORTAT...they call him the Polish Hammer:) Yay for Poland.